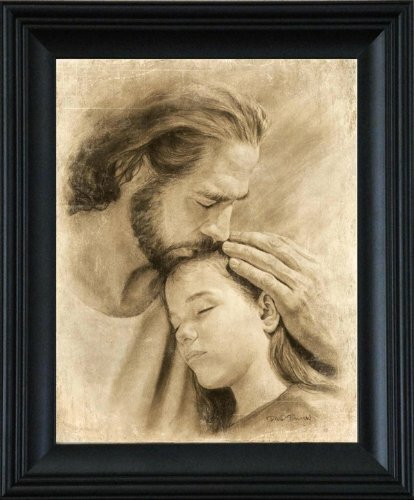 Artist David Bowman's "Expressions of Christ" series captures the love of our Savior in an up close and personal way---The only thing that can even remotely compare to Christ's compassion for each of us is the love of a parent for his/her child. Thus, the models used for this piece were actually a father and his daughter. For both these reasons, it is called MY CHILD. Framed art measures 21"x25"- art print is 16"x20""- frame width is 2.5"
Printfinders Canvas Edition 3:18 Peter VerseVisions Poster, 25 x 38"